The FBI says that only Apple has the ability to crack the work phone left behind by the San Bernardino terrorists, and last month convinced a federal judge to compel the tech giant to write a custom operating system with intentionally weakened security mechanisms. Apple is refusing to do so, and said that it is willing to take the fight to the Supreme Court. 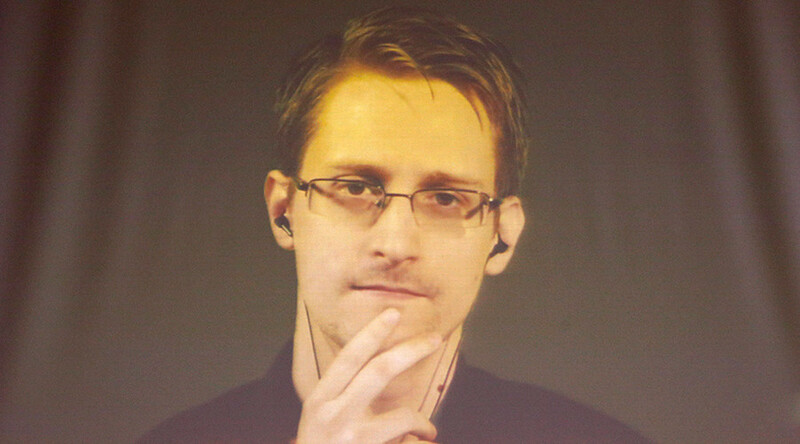 Over a video link appearance at Blueprint for a Great Democracy conference on Tuesday, Snowden took Apple’s side. Snowden later tweeted a link to an American Civil Liberties Union blog post titled “One of the FBI’s Major Claims in the iPhone Case Is Fraudulent,” which argues that the government doesn’t actually need Apple’s help to bypass the “auto-erase” feature on the iPhone in question. This sentiment echoes that of many tech experts, as well as some lawmakers. At a hearing last week, Representative Darrell Issa, a California Republican who made his fortune in electronic car alarms, asked FBI Director James Comey if he considered the possibility of creating enough copies of the phone’s data to try hundreds of passwords. Apple likely wouldn’t have objected to this simple method, and the FBI couldn’t answer why they didn’t consider it. Comey also acknowledged that the FBI made the mistake of changing the iCloud password on Farook’s account, security researcher Jonathan Zdziarski wrote in a blog post. “In other words, the mistake of trying to break into the safe caused the safe to lock down in a way that made it more difficult to get evidence out of it,” Zdziarski said. Snowden has previously applauded Apple for its defense of privacy and strong encryption, even before their current battle with the FBI.